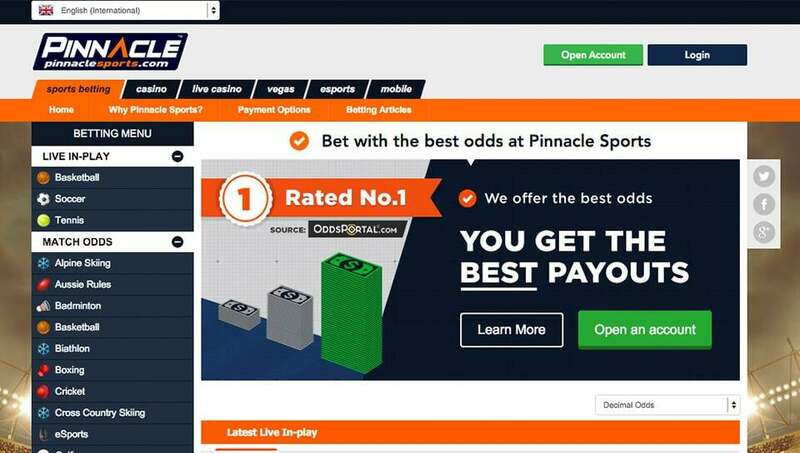 Pinnacle (formerly known as Pinnacle Sports) opened their doors to customers in 1998 and has since then grown into one of the best online sportsbooks on the planet. Their business model is such that they operate on very small bookmaking margins, thus giving the bettor the best price on their bets. 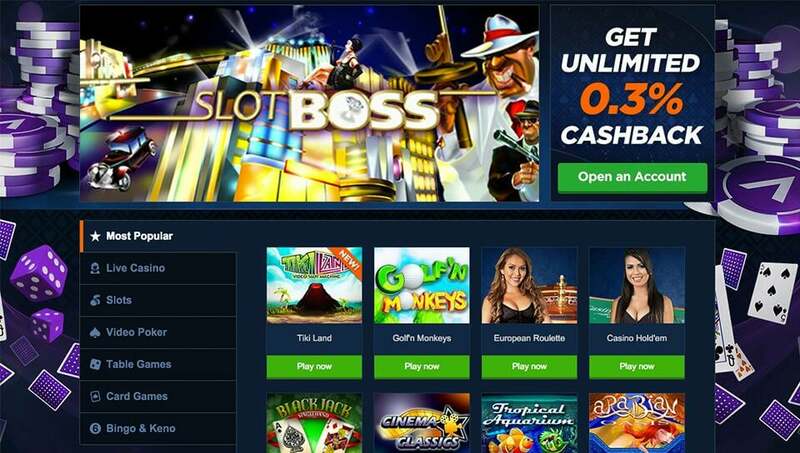 Pinnacle offers some of the best odds on any wager you want to place and with large limits. 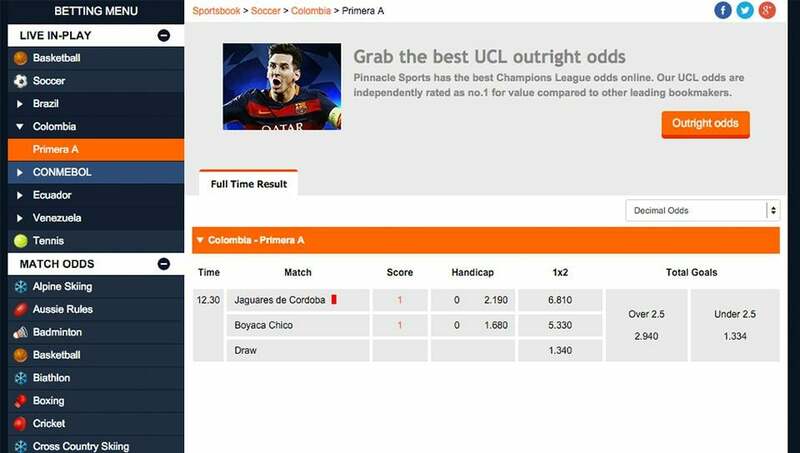 .. insert betting odds here ..
Pinnacle have a wide array of bettin opportunities, but that is not what they are famous for. Their reduced juice promotion, which allows the sports betters to get better odds than most other sportsbooks, is what seperates this outstanding sportsbook from the rest of the group. In addition to this great advantage players have, they also allow high limits on many wagers, making it a prima bookie for the high rollers. Here you can wager on a large list of different events. In addition you have the option to wager on derivatives of the original events, making it even more exciting for the sports bettor. They also offer some very interesting proposition bets on many sporting and non-sporting events, so next election you probably can bet on your favorite candidate! Pinnacle is famous for their great customer support. When you contact them, they will answer you both quickly and in a professional manner. Their support staff is always up-to-date with their ongoing business and have intimate knowledge of their whole operation. They will most likely be able to help you with your problem without much hassle. There is only a minor drawback that they don't have a phone number you can reach them with, but considering their swift responses to emails, that seems hardly necessary. The list of methods to deposit at Pinnacle is long. They accept credit cards, bank wire, checks, many types of debit cards, Moneybookers, NETeller, Visa, ClickandBuy and other types of online wallets. Most of these options are free and the deposits are instant for almost all of them. Here there should be something for every sports bettor to chose from. Withdrawing money from Pinnacle is also pleasent. They operate with the same places as with deposits and although there are fees for withdrawing with most options, you often get one free withdrawal a month. In closing, Pinnacle is an excellent sportsbook if you like to make large wagers on sporting events.  They have a reliable software, their financials are solid, they offer poker and casino action, they care about their customers and pay you when you win! They are a little weak on live betting, promotions and cricket bets in general, but if you are looking for a site that offers the markets best odds, with huge limits for your high roller wagering then there aren't many places that can compete with Pinnacle!